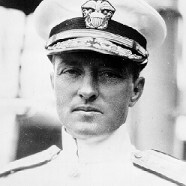 Admiral Richard E. Byrd: The Hero | Federal Lodge No. 1, F.A.A.M. of Washington D.C.
Born in 1888 to one of the oldest and most distinguished families in the history of Virginia, Richard Byrd seemed destined for fame. First, Byrd sought a career in the U.S. Navy and graduated from the U.S. Naval Academy. However, a series of injuries made it difficult for Byrd to serve as a naval officer at sea, where long watches were required. In 1916, Byrd retired from the Navy, but the advent of World War I returned him into active service. Byrd was particularly interested in the new technology of airplanes and earned his wings as a pilot at Pensacola. 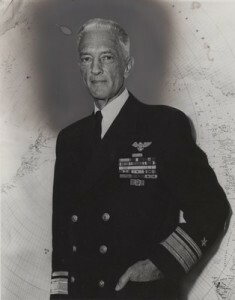 When World War I ended, Byrd maintained his interest in aviation and helped to navigate and plan the Navy team who achieved a transatlantic crossing by means of sea planes in 1919. After commanding the U.S. Navy pilots assisting Donald MacMillan’s expedition to Greenland in 1925, Byrd raised funds for his own expedition to fly across the North Pole in 1926, an accomplishment he announced on May 9, 1926. In recognition, the U.S. Congress awarded him the Medal of Honor and promoted him to commander. New York City threw a ticker tape parade. Byrd himself referred to his new status with both pride –and sometimes exasperation– as “the hero business.” Soon after, in 1927, Byrd added to his fame by leading a team that flew an airplane across the Atlantic Ocean, the third since Charles Lindbergh in that year. Historians claim that Byrd transformed polar exploration from the “Heroic Age” to the “Mechanical Age.” Certainly, Byrd made use of the older techniques of polar exploration that had been used by others. Dog sleds, snowshoes, and skis continued to be important modes of transportation for Byrd. However, Byrd’s most important accomplishment was in testing Twentieth Century technologies, which would expand the range of exploration and scientific investigation in Antarctica. His expeditions made extensive use of airplanes, both to map the continent and to deliver supplies to parties in the field. Trucks on skis and tracks made it possible to transport more equipment and supplies further into Antarctica. Radio enabled communication from Byrd’s base at Little America with field parties on the ice and with pilots in the air. As each expedition improved upon the technologies of the previous ones, the entire continent of Antarctica became available for science. Traditionally, polar explorers–then and now–maintain a diary in order to record one’s experiences in this extraordinary environment. Many expected to publish their accounts, either as articles in newspapers or popular books or tomes of science. Admiral Richard Byrd was no different. In fact, publication and the publicity associated with selling a new book were fundamental to Byrd’s career for two reasons. Revenue from the sale of books and stories paid the costs of the previous expeditions and also provided money to buy supplies and equipment for the next. 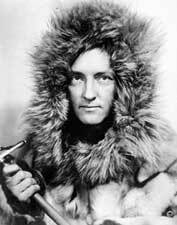 Byrd himself raised money for his expedition to the North Pole in 1926 and his first two expeditions to Antarctica. Of course, the length of Byrd’s career as a public hero and as a polar explorer (1926 to 1957) occasioned an immense number of books and articles by him and about him. The first two expeditions to Antarctica resulted in three books credited to Byrd, with assistance from Byrd’s publicist, Charles Murphy.